Switching to DuvaSawko 14 years ago was one of the most cost-effective financial decisions our 90 plus emergency physician group has ever made. Since billing is our second largest expense after physician payroll, we need to get as much bang for the buck from billing as we can. Their coding expertise, their clean electronic interfaces with the payers, their excellent patient call center, and their aggressive backend follow up have produced better end results for us than the other billing companies (both financially and from a patient satisfaction standpoint). Attention to detail is what sets DuvaSawko apart from its competitors. They answer our questions before we even think of them! DuvaSawko is clearly superior to other billing companies I’ve worked with. They’re professional, accurate, insightful, and able to help us gather the information we need for all aspects of revenue and compensation planning. Clearly the best billing company I’ve worked with over the last 35 years of practice. 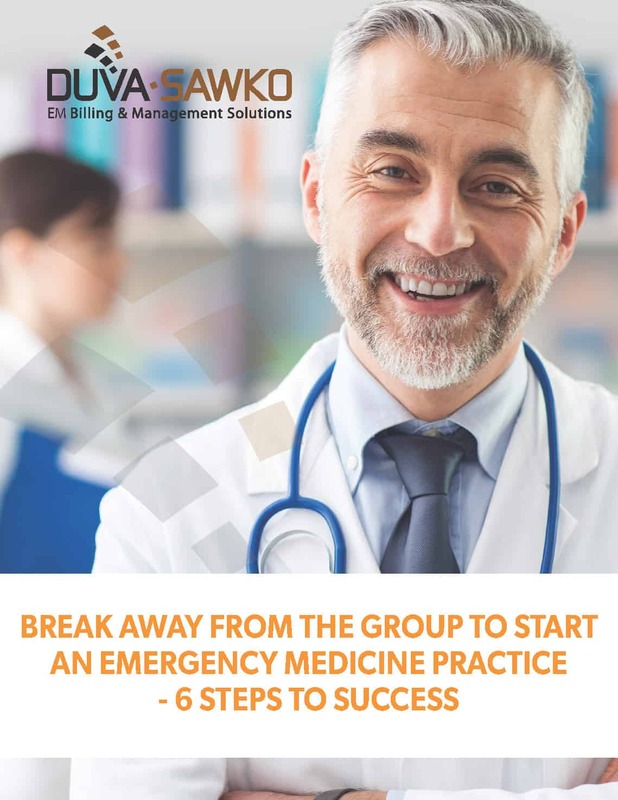 We are confident that our EM practice is realizing its fullest potential on all fronts. As a DuvaSawko client since 1998, our outcomes demonstrated this year after year. DuvaSawko has made my transition from clinical practice to ED practice manager seamless and enjoyable. They are readily available to answer all of my questions and are an absolute pleasure to work with. Dr. Holland, our Group President, and I have been reviewing the reports and talking about how happy we are that we finally made the switch to DuvaSawko. You have provided so much valuable data that we have never received before. I continue to be impressed with everyone I deal with there and the results we are seeing. I can’t thank you enough for your help. We really appreciate the support DuvaSawko gives to our group and the work you do on our behalf. We feel fortunate to have such strong and accommodating partners. Get My Free Analysis Today!